Jonathan Wagner, AIA is an architect specializing in imaginative high end residential and commercial projects. A passion for Regionalism and a Cornell training in Modernism influences all of his work with the appropriate measure of both incorporated into each project. 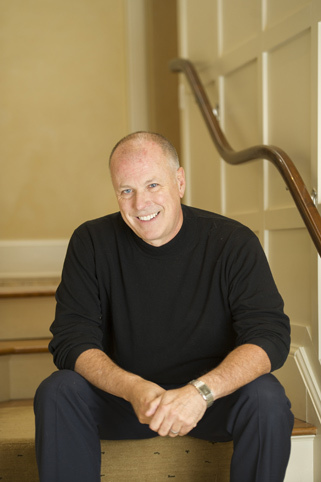 His work has been featured in publications ranging from House Beautiful, Dwell, and East Coast Home and Design; with a recent award winning project described by Connecticut Magazine as "pushing the limits of the vernacular" and "blurring the traditional/ contemporary frontier". Mr. Wagner's work includes additions and new houses in Connecticut, New York, and Southwest Florida. He has worked with the late Paul Newman on his home; and recently served as the Architect for interior remodeling of the 16-story Peoples United Bank Building in Bridgeport, Connecticut. Each project has embodied unique challenges that have been addressed in creative, understated, and thoughtful ways. Mr. Wagner is the former President of the Connecticut Chapter of the American Institute of Architects and Chairs the Committee on Professional Ethics, serves on the Architectural Advisory Boards for Norwalk Community Technical College and atHome Magazine, and is a past Director of Land Acquisition for the Aspetuck Land Trust.